Thames Ditton, Long Ditton, Hinchley Wood, Weston Park, Giggs Green, River Roads, The Village. From our central Hub office, Ivy Gate operate in the Thames Ditton area, covering the KT7 postcodes and providing personal service and expert advice to clients in Thames Ditton, Long Ditton, Hinchley Wood, Weston Park, Giggs Green, River Roads and The Village. Our unique model offers a personal and bespoke estate agency service, with sensible fees. 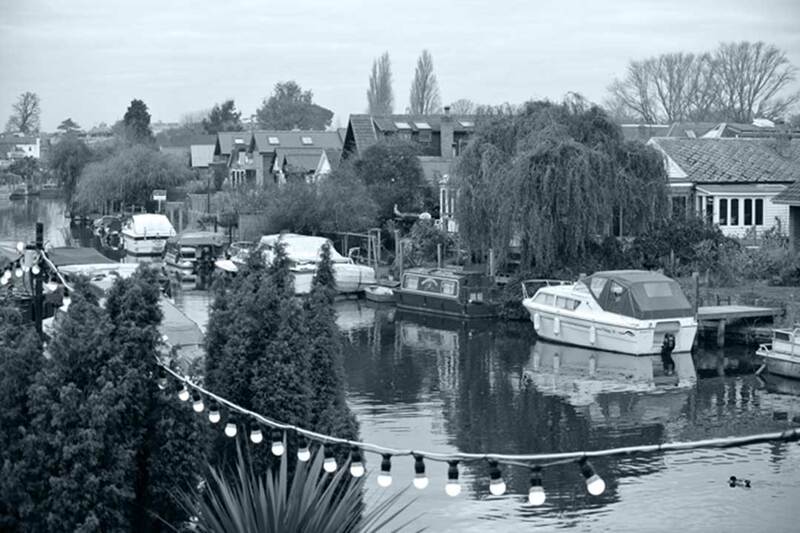 We offer sales, lettings, property management and financial services to clients in the Thames Ditton area. 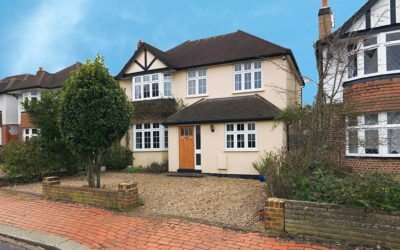 I have lived in Thames Ditton for many years, and am therefore well placed to offer guidance and advice to buyers, sellers, tenants and Landlords. I have been delighted to achieve some record prices for my neighbours in recent months and have been really encouraged by the positive feedback I have received from my clients. I am now one of the principal selling and letting agents in Thames Ditton and Long Ditton and the majority of new sellers and Landlords coming to the market now choose me to sell or let their home. Rail: Fast trains from Thames Ditton station to Waterloo take 36 minutes. Bus: Thames Dittons regular service has many bus routes throughout other parts of Surrey including Cobham, Molesey, Eshaer, Hampton court, Kingston, Surbiton, Weybridge. 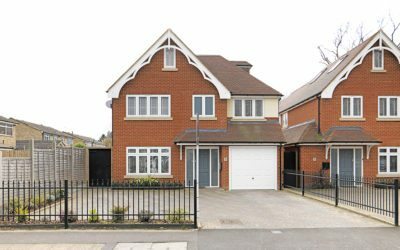 Road: 6 miles from the M25, Thames Ditton has excellent road connections via the A3, providing good access into central London. NO TENANT ADMINISTRATION FEE ON THIS PROPERTY- Ivy Gate are please to present this lovely and bright first floor spacious studio flat in Surbiton with an open plan kitchen and modern three piece bathroom. Below is a selection of testimonials from Thames Ditton clients. Hi Matt. We’ve managed to secure a flat, thankfully. Even though you didn’t end up finding us our new home, the conversation we had on the phone really helped me during a very difficult time. An estate agent with empathy – you’re one in a million! I wish you all the best with Ivy Gate. Ivy Gate—Cool, Sleek, Modern and Professional, well mixed with a delightfully personal touch. From the moment Stuart came in to our flat to introduce himself and Ivy Gate we felt we were in safe hands. It was refreshing to talk to someone from a company who actually operate within the 21st century. They weren’t going to just print us some flyers and put us on the market at the same value that every other agent seemed to be estimating at, but actually spent the time doing research on the local market, environment and saleability of our home. All whilst working on a well formed and targeted online marketing campaign. These guys are competent, confident and proactive consummate professionals. We felt safe in the knowledge that they would do their best for our sale. And they totally did! Within two days of our open house, we received three offers above our asking price, contracts were exchanged within three months and completion within 4. It couldn’t have been any smoother! Thanks for the excellent work guys! The sale of my property has been like running a marathon. However, without Stuart as my negotiator I do not think I would have managed. I cannot praise Ivy Gate enough for the way they handled my sale. Joe was patient, optimistic and professional and was always jovial which is important at such a stressful time. Stuart managed to steer me through the unprecedented problems with the chain which finally broke down and never gave up trying to make the move happen. I have sold several houses in my life and can honestly say he is the best negotiator I have used. Thank goodness it has all worked out and I am very grateful. It's been very straightforward, easy and stress free using Ivy Gate to let our property on our behalf. We got a great tenant in and are very pleased. The marketing, credit checking and move in processes and also the management of rent have made it so easy for us to become new landlords. We would definitely use the team again and recommend to any friends or family. We sought 4 valuations of our property. Stuart’s stood out from the rest as it was totally different to the others. In a rapidly changing market he was the only one to predict things correctly. We sold for the asking price! Throughout the process Stuart was very proactive in moving things along and keeping us informed at all times. The service from Stuart and Ivy Gate made the difficult task of selling more bearable, and we won’t hesitate to use their services again in the future. Thanks for all your help! 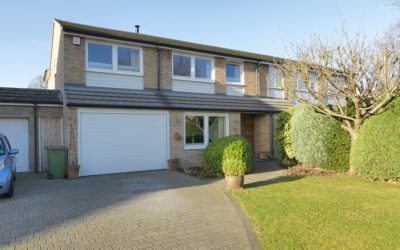 We are writing this email to express how delighted we are with the experience of buying our home with help of Joe Guilfoyle from the IvyGate estate agent. A few weeks back we found a property on the RighMove and contacted IvyGate to view it. We received a very prompt response from Joe, who offered us a selection of suitable homes. The properties were chosen with a great care to consider all of our search criteria. We really appreciated the additional choice we were given. We received a clear email stating the date, time and the address for all viewings. We really liked the reminder note, which arrived a day before. At the appointment Joe arrived promptly and welcomed us with a big smile. He also greeted the next door neighbours and their little baby boy who were in their front garden. During the viewing Joe followed up with further questions to better understand our needs. He took time to show us the property, explain the local area and facilities. We felt our needs were listened to and there was a desire to find us the right home in the area that would provide us with the desired lifestyle. We appreciated Joe treated each property we viewed with care and respect. The purchase process has been dealt with efficiently and with great tenacity. Joe was transparent and honest. It was clear Joe's intention was for the best outcome both for the vendor as well as buyer. We are also grateful for the additional help to find reputable surveyor and builder. We are thrilled to have Joe's help and we feel we can totally trust him with one of the most significant transactions in our life. Joe more than exceeded our expectations. He has a great career ahead of him. We wish him all the very best. Up to now I have hated moving house …paperwork, agents, solicitors and strangers in your home is not something anyone would look forward to. That was until we worked with Ivy Gate. 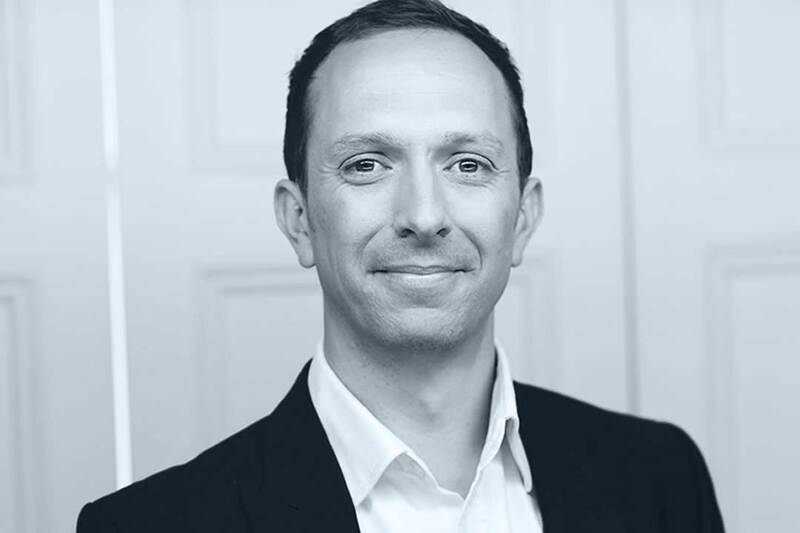 Stuart Ripley (Sales Director) has changed my opinion of the process and even estate agents as a whole. He was nothing but honest, straight forward and practical about the entire process. His local knowledge and vast pool of buyers got us to an accepted offer in just 2 weeks. It was his dedication, tenacity and experience that got us through to exchange in only 5 weeks …that is un-heard of in this market! He is a great communicator and kept us upbeat and positive through what can be a pretty harrowing experience. We would use Ivy Gate again in a heartbeat. We cannot commend Charlotte and Matt enough. from the moment we brought Ivy Gate on board to market and manage our property they have been proactive, communicative and have gone above and beyond on several occasions. We couldn't be happier that we have chosen to entrust the management of our property to Ivy Gate and hope that the continued relationship we have with them will be as successful as it has been so far. I chose Ivy Gate because Stuart was so enthusiastic about my property from the outset and seemed genuinely able to appreciate the positive aspects of my home. This was reflected in his marketing during which he kept me fully involved and informed and I felt that he was committed to selling my home, which he achieved extremely quickly. I also appreciated Ivy Gate’s approach which meant that I dealt with the one agent throughout the whole process. Jason & Joe managed to find me a buyer within 24 hours of the flat going on the market. The whole transaction was completed within 6 weeks! Ivy Gate really do have the portfolio of clients they claim to have. They were both a pleasure to deal with and kept me updated at all times without being too intrusive and pushy, unlike other estate agents I have dealt with. I cannot recommend Ivy Gate highly enough. 5 Star service! From the moment Ivygate's leaflet dropped though my door, I had a feeling that they were going to be more than your average estate agent, and I wasn't disappointed. Their emphasis is very much on providing a quality service rather than making unrealistic promises and their knowledge of the area and how it operates was second to none. I felt that I was a person and not just a sale to them, and that definitely eased some of the pressure of selling my flat, which was certainly welcome! I would be happy to recommend them to anyone. Stuart was able to introduce two very specific and qualified buyers for our property who within 24 hours of viewing had both submitted offers. We achieved a record price for the type of property on our road. This reflects the tailored and personal approach that Ivy Gate offer which goes well beyond the remit of the traditional high street estate agency. Stuart maintained contact throughout the sales process and really helped managing our buyer despite our chain taking longer than expected to complete. Stuart and Joe have been absolute professionals throughout the buying process. From providing additional information about the area when I began my search, through to supporting myself and the seller throughout the purchase process. The move would not have been as smooth without them and I thank them for their help. We were very happy with all aspects of the service so far. The agent had good local knowledge and was very approachable about any issues as we were first time landlords. Everything was handled very professionally and we would recommend their services. The values by which Ivy Gate do business and represent you as both a seller and potential buyer are the standard by which all other agents should aspire to. We set a difficult challenge with short timelines to Stuart and Joe in which we wanted to get our home sold, and their guidance and advice were the only realistic appraisals we were given after meeting with 3 other agents. They focus on offering a service and staying close to you with all through the process. 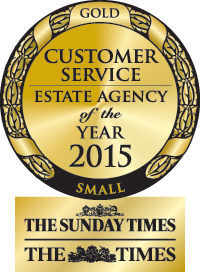 Without their help I don't think we would have sold our property as quickly nor maintained the value we sold it for. Thank you to Stuart and the team at Ivy Gate for making the buying process so smooth. We had some bumps in the road but Stuart was very proactive in chasing everything in our chain. I’ve now recommended Ivy Gate to friends and colleagues who are looking to buy or sell and within the first day online a friend already had a viewing booked. Great stuff. Thanks Ivy Gate! Ivy Gate are a refreshing change to the world of estate agents. Throughout our sale they were proactive, efficient, and professional. We weren’t passed on to the back-room staff after an initial meeting but dealt directly with Stuart throughout the process, providing a depth of knowledge and appreciation of our circumstances that proved invaluable in securing the sale. Good job! Throughout the transaction, from beginning to end, Joe and his colleagues at Ivy Gate were friendly, communicative, knowledgeable and professional. Always on hand to advise and support, they made the whole process seamless – I can’t recommend them enough. Thank you. Ivy Gate aren't your typical estate agents. They're honest, reliable, easy to get hold of, professional and top of their game. They kept me informed at every stage my sale and when things looked like they were falling through worked really hard to keep the chain together. Needless to say they took the stress out of the whole experience. We got the results we wanted and I wouldn't hesitate in recommending their service. Would definitely use again. I found Ivy Gate extremely easy to deal with, helpful and very approachable in all aspects of selling our house. I wouldn't hesitate in using Ivy Gate in the future or recommending to friends.